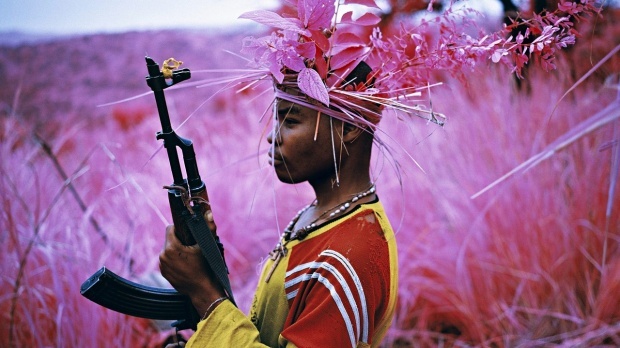 My first ekphrastic text will be on Richard Mosse’s The Enclave. I went to see the exhibition in Amsterdam a year ago, tomorrow I will go to Copenhagen to see it again – The Enclave is now on show at Louisiana in Humlebæk. I will start my journey into Mosse’s work by first writing a review of the exhibition for Morgenbladet. A newspaper review has to be short, precise and to-the-point, it teaches the writer to compress – the essay allows one to digress. So in a way these two genres can be understood as antithetic. Still I believe writing a review is a good entranceway into a more complex text. 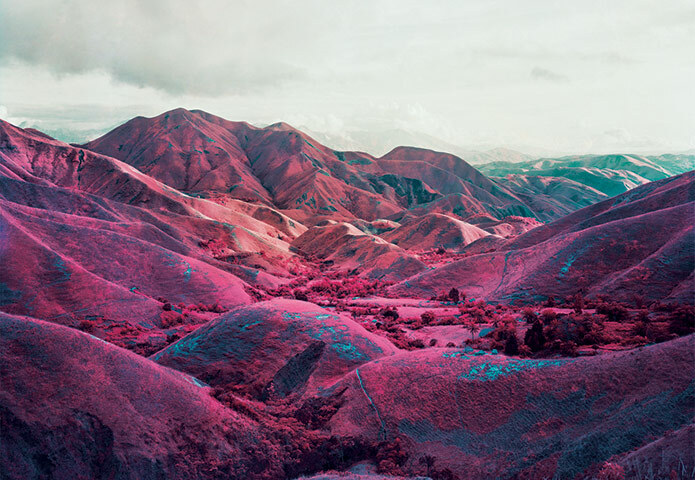 Richard Mosse (born Kilkenny, Ireland, 1980) is an Irish conceptual documentary photographer. The installationThe Enclave premiered at the 2013 Venice Biennale in the Irish Pavilion, and in 2014 Mosse received the prestigious Deutsche Börse Photography Prize for his work. For what it is worth, I found the images enchanting the first time and still do. I have no idea why. Hope you will let us know what you discover.